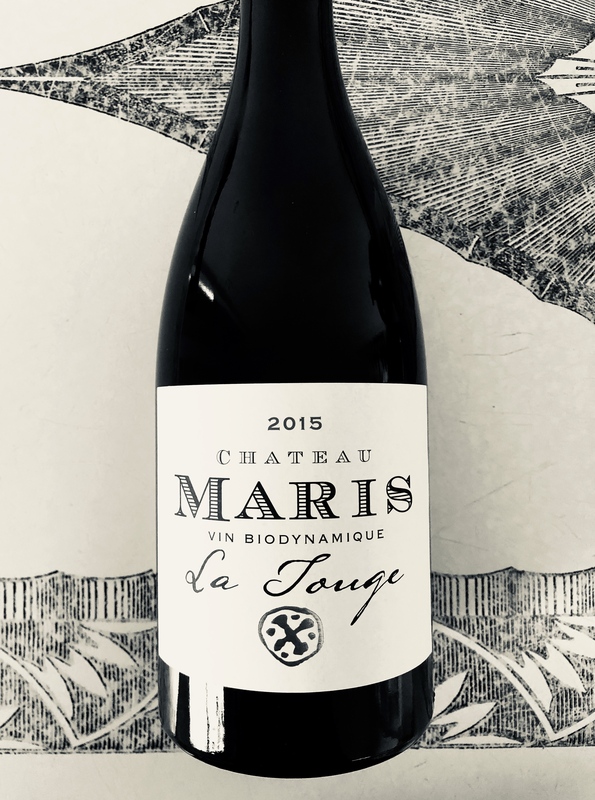 Estate: Named the “The Biodynamic Apostles of the Languedoc” by Wine Spectator, Chateau Maris is located at the eastern edge of the village of La Livinière at the foot of the Montagne Noire Mountains, in the Languedoc region of southern France. With a goal of “creating “grand cru-level” wines from La Livinière in the Minervois appellation, winemaker Robert Eden took over the estate in 1996. Eden converted the entire estate to biodynamic farming after trying different methods to revitalize the soils that had been rendered unusable due to the previous owner’s overuse of chemicals. Over the years his green approach and biodynamic processes have gained much recognition. He has built “the world’s first hemp cellar” that functions carbon neutrally. The hemp bricks not only capture carbon dioxide, but also maintain temperature and humidity so that heating or cooling is not needed. Winemaking: Certified Biodynamic by Biodyvin. Grapes are sourced from vineyards with “hard and soft limestone and alluvial soils”. Only natural compost from the free roaming cattle is used as fertilizer. Fermented with natural yeasts, aged 16 months in a mix of concrete eggs and tank, unfined and unfiltered. Suitable for vegetarians and vegans. Both the bottle and label are from recycled sources. Tasting Notes: Inky red-violet in colour with inviting strawberry, black cherry, pepper spice and meaty aromas. Pepper spice driven, with layers of black currant, cherry, strawberry and smoky earth supported by fresh acidity and silky tannins. Baking chocolate and fruit linger on the plush, dry finish. Sumptuous, yet agile, fantastic on its own or with hearty and/or spicy dishes.